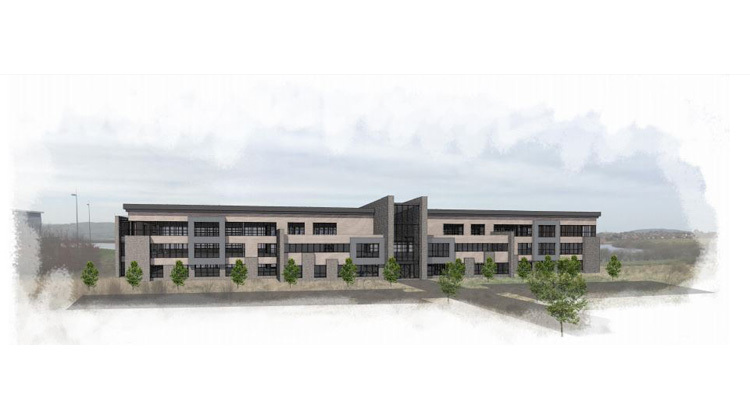 Euro Garages has submitted plans to build a three-storey office block and two drive through restaurants in Haslingden Road, Blackburn, close to the hospital and our existing head office. The plans include enough parking spaces for 349 cars, 26 bicycles and 17 disabled spaces and, if given the green light, the proposed plans will create 260 full-time and 40 part-time employee positions. Within a planning document, a spokesman on behalf of Euro Garages, said: “The site will act as additional office accommodation for the applicants growing company. The positioning of the main office building also allows for the maximisation of parking areas, while offering glimpses of the reservoir on approach down either side of the building. The main expanse of parking also offers uninterrupted views of the reservoir to visitors arriving by car. The use of more modern materials are used to express the progressive business use of the building, while maintaining colour tones in keeping with the surrounding areas.